STAR Hospitals provides world class vascular care and promotes collaboration among the different specialities involved. Vascular surgeons at STAR Hospitals are trained in the diagnosis and management of conditions affecting the circulation, including disease of the arteries, veins and lymphatic vessels. Many vascular conditions can be treated without surgery, radiology or invasive procedures. 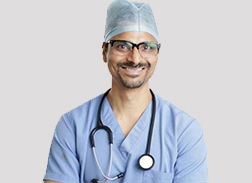 The vascular surgeon often has a preventative role and may advise the patient to adopt a healthy lifestyle including a suitable diet and regular exercise. If at all surgery is necessary, endovascular surgery is performed utilising minimally invasive techniques. Vascular surgeons or interventional radiologists both provide these treatments such as angioplasty (widening narrowed or obstructed arteries) and inserting stents. For example, during angioplasty an empty and collapsed tiny balloon is inserted into narrowed areas of the vessel and inflated using water pressure to improve blood flow. A stent (a tiny metal cylinder) may also be inserted to ensure the vessel remains open. The aim of these techniques is to restore normal blood flow. Endovascular surgery has some advantages over open surgery including shorter recovery periods both in and outside the hospital, less pain and scarring. Vascular surgery is actually quite varied and most operations have to be tailored to the individual patient. Urgent intervention is required for conditions such as ruptured aortic aneurysms and vascular trauma following road accidents and other accidents.